Agility combines with experience to give you a rare blend of quality, speed and top-level service in your projects. As a boutique engineering firm, we’re nimble enough to adapt to your needs while bringing nearly 30 years of innovation in mechanical engineering services. We don’t just push boundaries, we redefine them. Our talented team explores and excels in emerging technologies, then applies them in a mechanical engineering setting to give you a competitive edge. Our custom built HoloLens Augmented Reality applications allow you to easily improve productivity and design reviews, document comments and quantify design, resolve shop floor quality issues, improve productivity and reduce costs. Make your product “smart” by connecting it to the cloud. We develop strategies to connect your product to other devices, people and processes, allowing you to receive valuable insights about its usage and performance. Mechanical engineering services that support your product from concept to manufacturing. We approach engineering challenges with an eye towards the uncharted path. We go beyond the tried and true methods to create truly unique plans. Our designs are built on quality metrics, realistic scheduling and reduced costs – without sacrificing innovation. We have a long history of creating new patents for our clients. We start with a great idea, then thoroughly analyze it to ensure feasibility. Our in-depth analysis looks at every part of the project, from structural soundness to impact resistance and mechanical fatigue. We utilize prototypes to conduct proof of concept and feasibility studies – and to give our clients a chance to see the product come to life before it goes into production. Our validation and testing process, developed over more than two decades, ensures that every product performs exactly how it was intended to. Our engineering staffing solutions help you find the right person to augment your team. Get a leg up on the competition with a firm that tests and adopts cutting-edge technologies as they hit the market. Get the flexibility you need. As a boutique engineering firm, we are agile and can easily adapt to your needs to deliver the right services when you need them. Reduce learning curves with an engineer-driven team that has intimate understanding of both the technical and business side of engineering. The U.S. Army came to us to strengthen and lighten an existing flatrak for transportation. 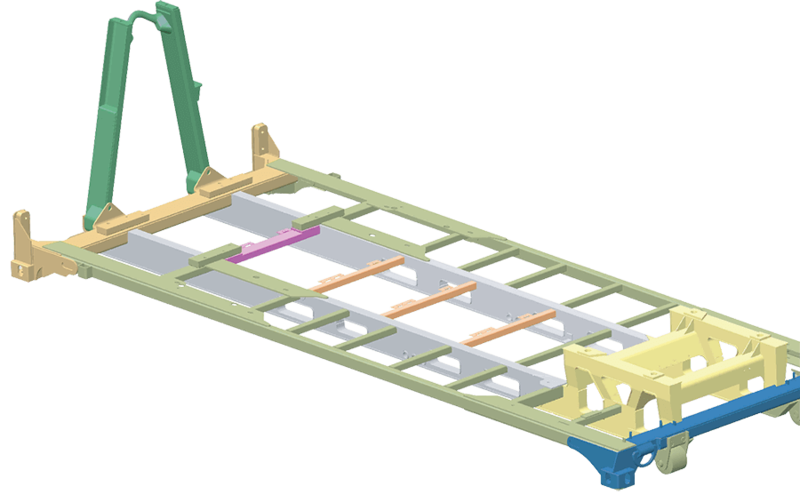 Find out how we reduced its weight by 10%, reduced parts by 14% and reduced the number of sub-assemblies by 45% – all coming in ahead of schedule.